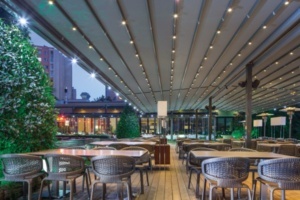 A step above the standard – these are special retractable roof systems developed to create a unique feature or perhaps when the standard models are not able to be used. 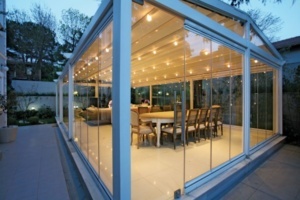 The various models are designed mainly by modifying the manner in which the rail profiles are supported thereby enhancing the overall appearance of the system. 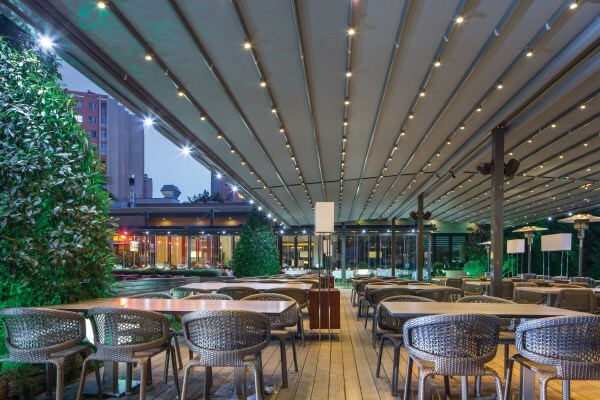 The technology is similar to what is used in the standard retractable roof systems and they are 100% waterproof enabling our clients to make the most of their outdoor areas and use them all the year around. The retractable roof systems with its clean lines and modern design, provides protection from sun, rain and wind. 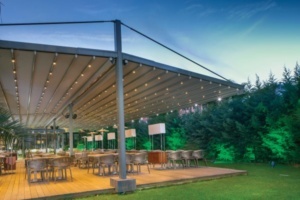 Designed for large areas our roof systems are manufactured using the highest quality materials requiring minimal maintenance these systems offer a great alternative to building an extension but still classified as a ‘ temporary structure ‘ with no thermal ratings or foundations required as an extension. With a range of different designs and our capacity to customise these with other unique products to cover the front and sides these roof systems can be configured to suit your particular needs.